I love the Canine Good Citizen test and I know my students that have earned the title love it too. 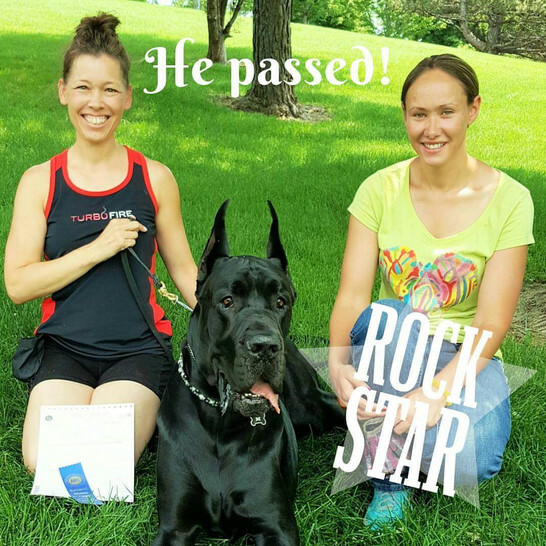 We have a lot of fun in these classes and it is the first title that most people earn with their dogs. Any dog regardless of if they are AKC registered can earn the Canine Good Citizen certificate. This is a title that handlers of all ages can participate in. Our youngest for handler I’m the last testing event was just nine! This is a great title if your goal is to have a well-behaved family dog or if you’re interested in moving on to Dog Sports like Rally or IPO. Week 1 in our Canine Good Citizen package starts off with a mock test allowing us to evaluate where each dog is in their training. We work with each dog and handler then the week before our test day we actually go out and enjoy a patio lunch with our dogs after class. This allows dogs practice holding a down stay while their pet parents enjoy a lunch. 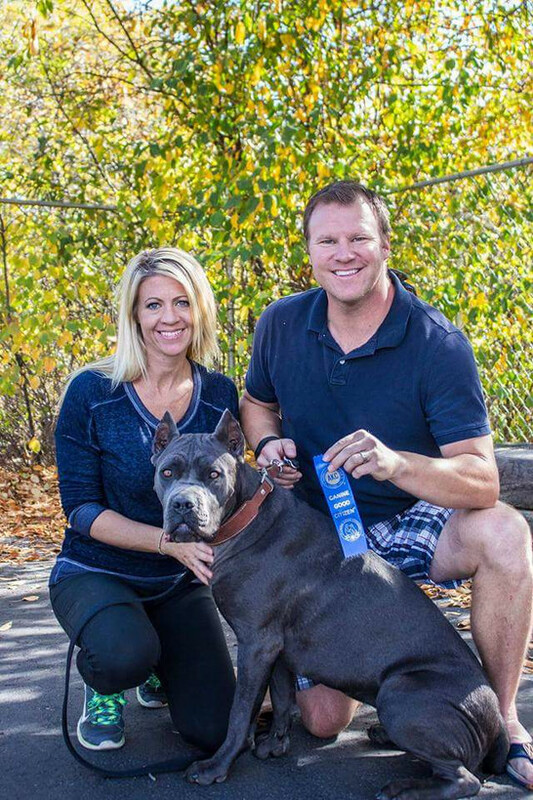 It’s a great opportunity for dogs to practice their training in a real life scenario, plus it allows students to show off the skills with their dogs learned. There are other benefits to earning a Canine Good Citizen as well such as free City Licensing, discounts on renters insurance and discounts on hotels when you travel with your dog. Here’s a little about the test! 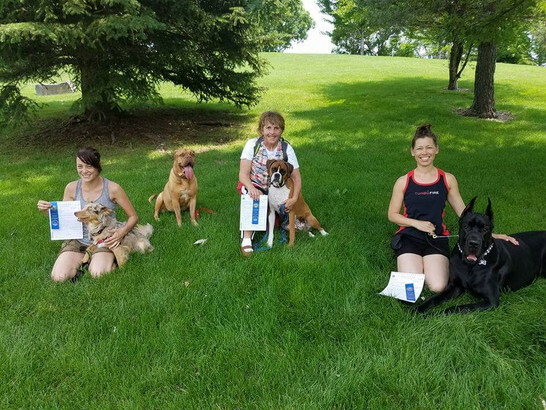 This intermediate obedience class is designed for dog’s who have already completed formal beginner obedience and formal intermediate obedience classes, or have a very solid training foundation at home. 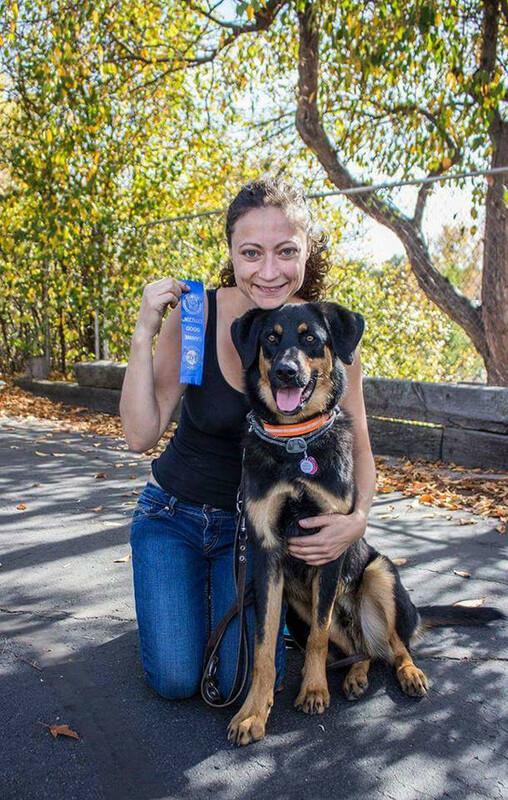 Not sure if your dog is ready for this advanced obedience class? Just ask us, we are happy to help!